Get together and celebrate any occasion with our famous high tea, back by popular demand! Held every last Sunday of the month, starting Sunday 28th April. Enjoy a selection of T2 tea’s and a delectable array of both savory and sweet treats. To pre-pay and guarantee your booking – click on the link below, select your date and time and we will see you then! 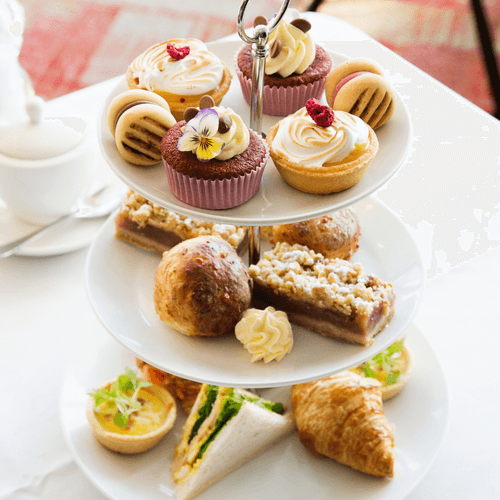 High tea can also be available any day, for group bookings of 12 or more – please contact events@hobsonhotel.co.nz for more information. *Bookings essential – Not available to walk in’s. Subject to availability, no discounts applicable.